Khimji Permoglaze is one of the first companies to start its manufacturing operations in Rusayl industrial area in 1985. 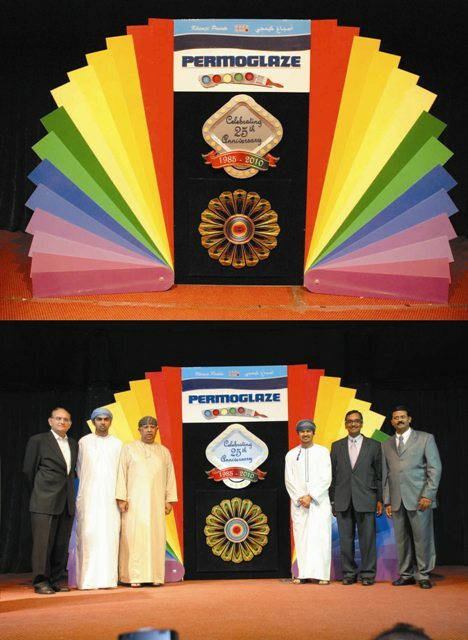 The brand Permoglaze was the first paint brand to be imported into the Sultanate by the Khimji Ramdas Group in 1960s. Having started off as a small unit of just nine people, today it has a loyal and committed workforce of 75+ employees. The directors of Khimji Ramdas expressed their gratitude to their loyal customers, dealers, distributors, associates, all the government officials and its employees who have played an major role in this 25 year successful journey. Khimji’s Paints Division, a symbol of success. We thank you for posting your valuable comments in our blog.